In a 66-page ruling handed down today, U.S. District Court Judge Susan Oki Mollway in Honolulu ruled that the National Marine Fisheries Services should not have approved the U.S. Navy’s training activities in the Pacific Ocean a couple years ago because they harm too many marine mammals. That’s a huge number. 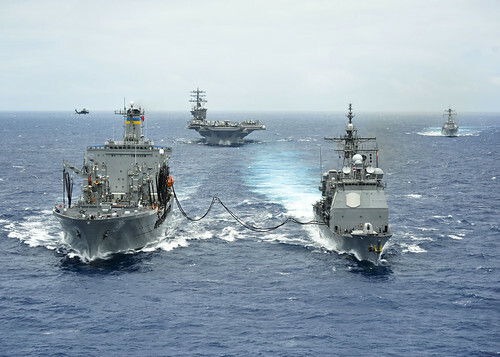 Nearly three years ago, when I wrote this story on the Navy’s proposed Pacific testing and training activities, the estimate of instances of harm was just around 2 million. Of that, the Navy estimated, the exercises would kill 200 mammals and inflict another 1,600 injuries each year. For its part, the Navy says it must conduct training exercises in the Pacific, especially using active sonar, to keep the nation safe. This, Earthjustice attorney David Henkin says, doesn’t give the service the right to inflict biological damage wherever they see fit.